I recently returned from a work trip to Puerto Rico. Since I was only there for work, my time for exploring was a bit limited, but I still made an effort to enjoy San Juan. I am happy to say the island of Puerto Rico is all the things you expect from the Caribbean. Colorful streets, Old World architecture, great cocktails, and a wonderfully warm people lend Puerto Rico a casual and fun vibe. While the island is quite small (about the size of Connecticut) there’s lots to see, do and eat! The colonial San Juan was first settled by the Spanish in 1508 and formed an essential stopover from Europe to the Americas. 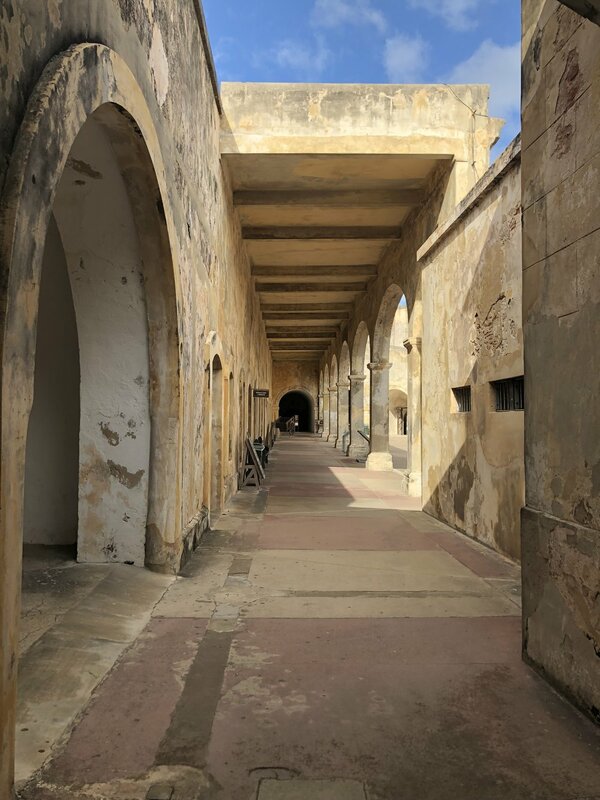 Due to the strategic position in the Caribbean for merchant and military ships transporting gold and silver, Old San Juan was fortified, and on a walking tour of the city, you can spot the thick, tall limestone city walls, the old city gates, and three forts. Old San Juan is the colorful, colonial section of the island that was initially settled by the Spanish. The quaint cobblestone streets and pastel buildings are meant to be explored on foot, and luckily, cruise ships dock right in town for easy access! From great restaurants, excellent shopping and street side bars, there’s lots to do in Viejo San Juan. I love the flavors of Caribbean food, so I was very excited to try the authentic Puerto Rican food. 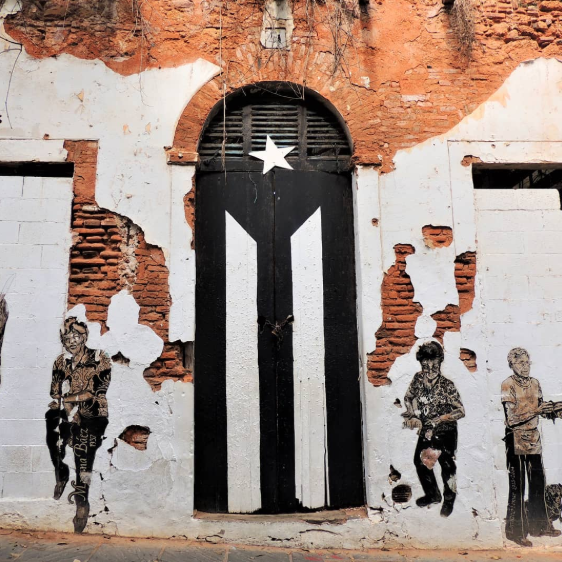 Puerto Ricans lovingly call their home the ‘Dining Capital of the Caribbean’ and dishes like mofongo (mashed plantain), aroz con dulche (sweet sticky rice) and arroz con gandules y lechón (rice with pigeon peas and pork) are a delicious blend of Tahino, Spanish and American influences. Also, you can’t forget about the drinks! The local bartenders are mixologists dedicated to their craft! Many participate in regional competitions and love to create their cocktail off the menu if you ask! Set on an island and walled on three sides, the Spanish constructed massive walls and several forts to protect their colony. Remnants of the thick walls and ballasts still safeguard the western harbor today, and a must visit is Castillo San Cristóbal. This fort was the largest fortress built by the Spanish in the New World and has over six stories across 27 acres of land. I am excited to go back in the end of October, so if there's anything I should visit please let me know in the comments!